Well, tonight Evyn and I are having a slumber party. But it’s not one I had planned or hoped for. I’m currently hiding in the bathroom of our little hospital room while Evyn gets some much needed sleep. (I don’t want my clicking keys to wake her up! Nothing like spending an evening in a 3×4 bathroom with a toilet and a shower!) It’s safe to say that it’s been a very long day! Evyn had some major difficulty breathing and wheezing last night so after a visit to the doctor this morning they sent us right to the hospital to have some tests done and to monitor her throughout the day/night. The good news is she is breathing MUCH better after steroid meds, several breathing treatments, and lots of TLC. RSV and Flu tests came back negative (Praise God!) so we aren’t sure the root cause, but looks like she will be on breathing treatments for awhile until we get this figured out. Hopefully we will go home tomorrow morning and be on the mend. A day like this really puts things into perspective. 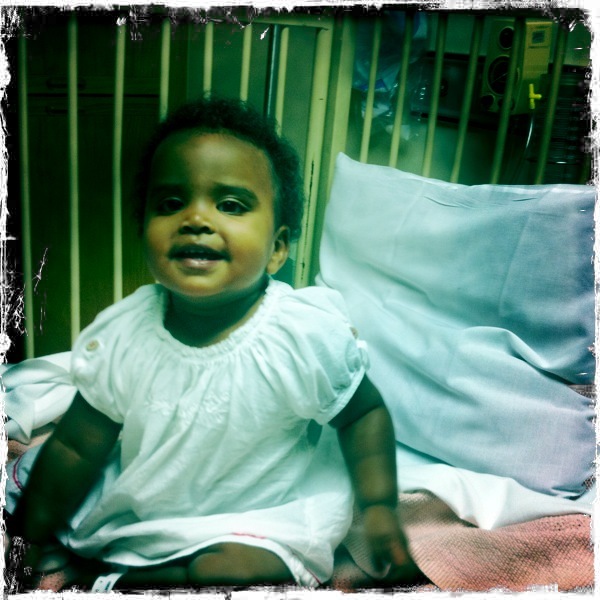 My heart is breaking for families who battle in hospitals for weeks…months…years at a time watching their children fight disease and sickness. I can not imagine what a helpless feeling that is for those parents. How lonely they must often feel. How exhausted they become. God has really opened my eyes and heart today to pray for those sweet families struggling! Lord willing my family will be in and out of this hospital within 24 hours, but for many families these beige and sterile walls become their home for far too long. Talk about perspective! For the sake of application and putting feelings/thoughts into ACTION…check out this amazing ministry called Lighthouse Family Retreat. It’s a way that you and I can serve families who are daily in the battle of fighting disease with their children. Check it out! Oh poor Evyn!! 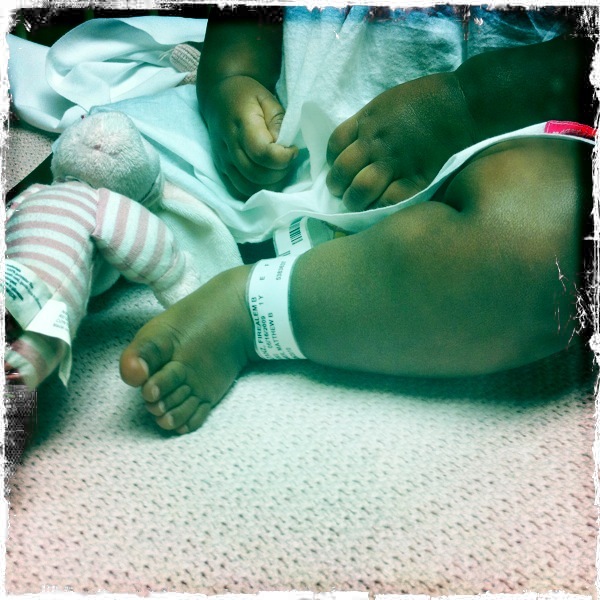 I pray that she gets better and ya’ll get to go home tomorrow! I know that must put everything in perspective, for sure! Poor thing! 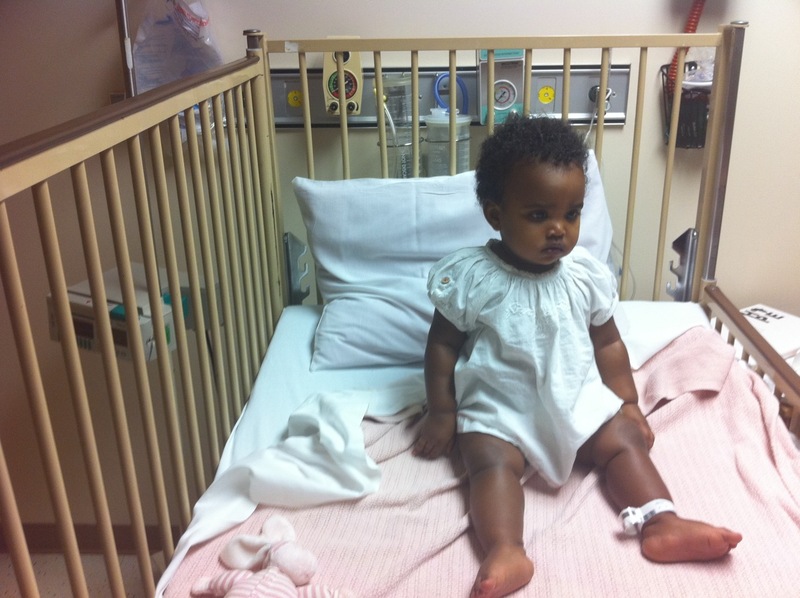 For the record, she looks adorable, even in the hospital. yep, the doctor thinks its asthma too. She has a cold virus that probably just made the asthma flare up. It’s scary stuff when your baby can’t breathe! Hopefully she will grow out of it over the next few years. oh em i got on here just for fun and about lost my lunch seeing that honey in a hospital bed..